No matter what device you have, Android lag will get you down. It's our little green robot's only major downside, and you've probably noticed it quite a bit on your Nexus 7 tablet. Apps open slowly, actions stutter or pause, and loading files takes forever. 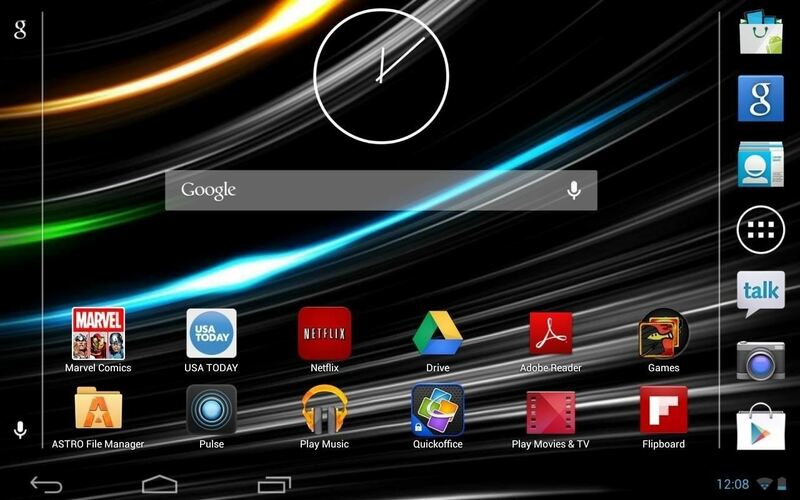 There are ways to overclock your tablet for increased speed, but at the cost of stability and battery life. But you don't need to overclock to make things faster, you can simply tweak a few settings, and in this article, I'll be showing you some of the easiest mods to increase speed and reduce lag. NOTE: The above video covers the first three methods. First, let's decrease the amount of time apps take to launch, make the Home screen scroll faster, and make Android more responsive in general. 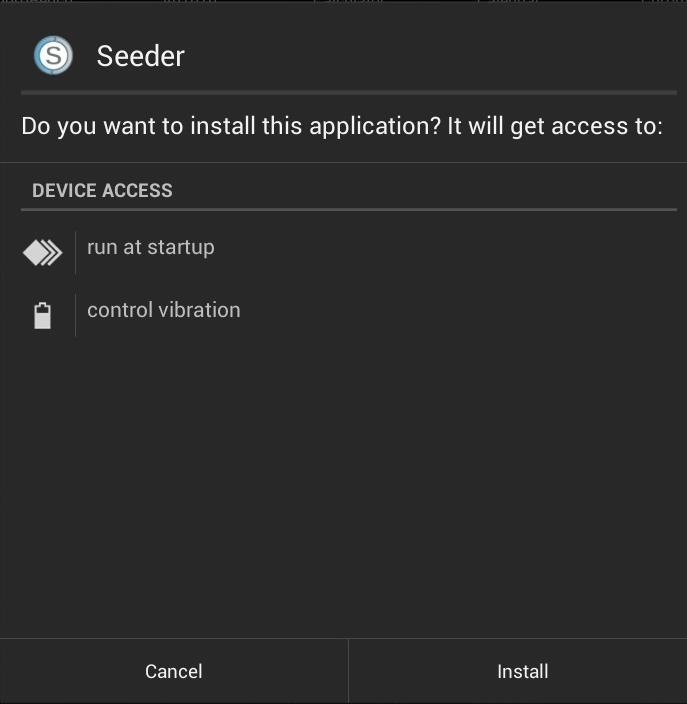 We can do this by installing an application called Seeder, written by Android developer lambgx02, which makes special optimizations to some hidden Android services. You will need to be rooted for this. 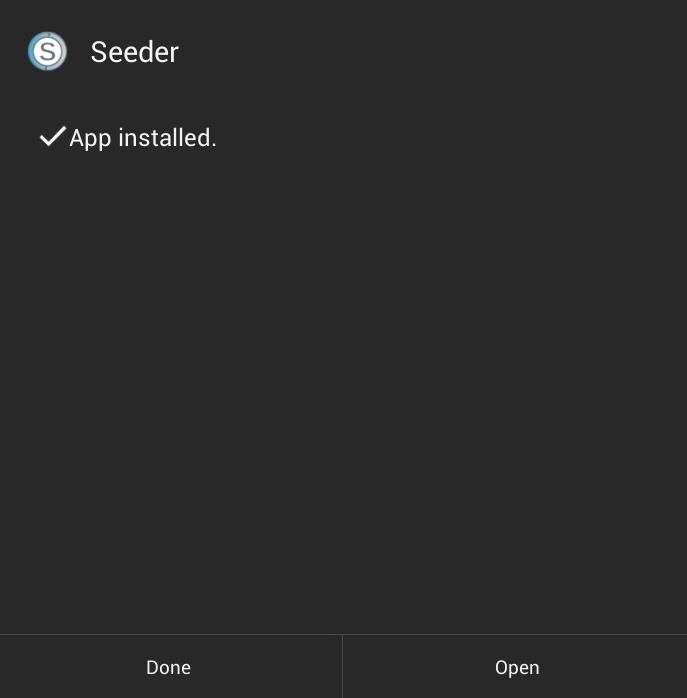 For convenience's sake, you can download Seeder on Google Play for $1.99, which automatically updates when new bugs have been fixed or improvements have been made. 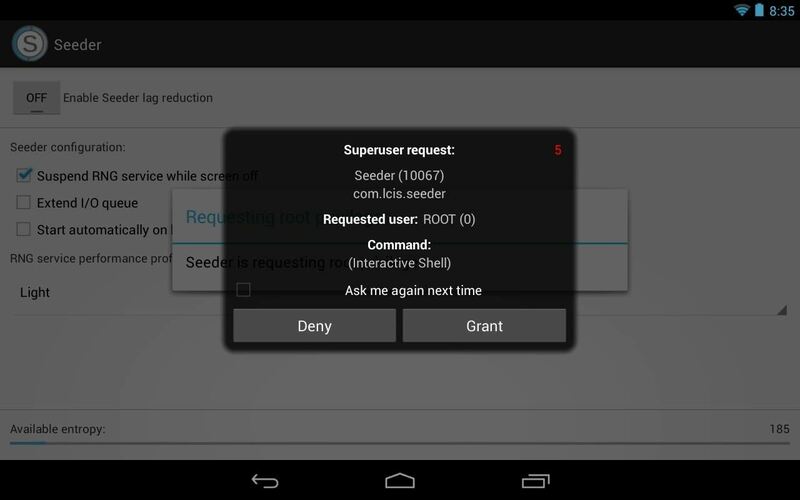 If you want the free edition, check out lambgx02's forum post on XDA to get the APK file of the latest version of Seeder. Currently, the newest version is 2.0.0, which you can download directly from here. The only downside to this is that you'll need to reinstall it whenever an updated version comes out. Be sure to enable Unknown sources in Settings -> Security -> Device Administration. The next two methods, in addition to requiring root, also require a custom recovery. Don't worry, it only takes one click to install them, so check out my guide on getting either TWRP or CWM installed on your device. For those who aren't aware, Android is built on Linux, a free open-source operating system commonly used on servers (or for hacking), and Android gets bogged down by some of Linux's features, most notably the Linux file system. For a quick example of how this file system works, let's pretend that I want to take a note in a composition book. Instead of actually writing directly to the composition book, I have to write on a post-it note first. After writing everything to the post-it, then I am allowed to write inside the composition book. Then, I have to copy the same notes from the post-it into my composition book. Finally, the notes are in my composition book. This is how the Android file system is in a nutshell. It's long and complicated with a lot of unnecessary steps. There's a middleman (the post-it note) that has to approve every bit of data being written to the Nexus 7; this is called journaling or a journaled file system. This makes sense for Linux servers where data needs to be saved in the event of a crash, but this is unnecessary for us. To remove the middleman and dramatically speed up our Android device, we can use the Mitsuyoshi EXT4 Mod by developer Jubei Mitsuyoshi. Just download the ZIP file and flash it with your custom recovery. If you're using CWM, go to Install zip form sdcard, then Choose zip from sdcard, and select the downloaded file. Then just hit Yes to install. For most users, stock will work great. However, just like a car, special tuneups and upgrades can up performance and speed. The kernel is like the inner workings of a car engine, and custom kernels are just like what they sound like—upgrades for your Android. 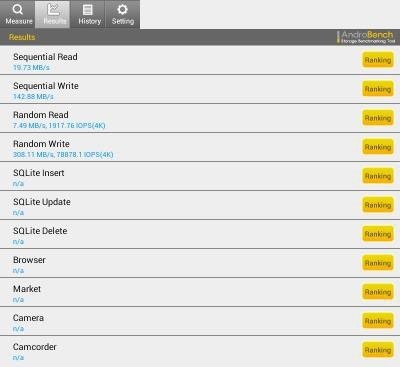 Now, there is a plethora of custom kernels for the Nexus 7, but the franco.Kernel by developer Francisco Franco is what's arguably the best kernel for your Nexus 7, and one I previously covered for its amazing power saving abilities. Just grab the latest version here and flash it with your custom recovery. If you're using CWM, the process is just like last time, only select the kernel file instead. Be sure to keep this kernel updated with the franco.Kernel Updater Free on Google Play. Just launch the app and tap the option for updates. If you're experiencing slowness when web surfing, don't call your ISP or cellular provided just yet. You may be able to speed up your web browsing by tweaking some code on your tablet using Internet Speed Master by nex droid. Best thing about it is that you don't have to be rooted to use this mod. Head over to my full guide on using Internet Speed Master for more information. You can also block ads from running, but ISM should do the trick. If the above three methods did not increase the speed and reduce the lag on your Nexus 7, you can also try installing a completely different ROM. The one I like best is SmoothROM by Jamesst20. If this sounds like something you want to try out, check out my full guide on installing SmoothROM on your Nexus 7 tablet. What Speed Hacks Do You Use? And those are my top five ways to increase speed and performance, while at the same time stopping Android lag, on your Nexus 7 tablet. As mentioned previously, you can overclock your Nexus 7, but it wear out your hardware and kill the battery. However, if you're a gamer, it's something to look into. What mods do you find work best on your tablet? Let us know! Unfortunately, the lag is here to stay even with Project Butter. Thankfully there's mods and tweaks to help speed things up! I think either something is wrong with my device or I'm doing something wrong. I've installed the latest version of SmoothRom, then updated to the latest version of the franco kernel. I then installed Seeder, Jubei's script and Internet Speed Master. Just ran a test in AndroBench (4 tests actually to rule out any random errors that may have occurred) and my results aren't anything close to yours. My Sequential Reads are 20.68MB/s (barely better than your stock), Sequential Writes are only 11.37MB/s (which seems weird since even your stock was 130MB/s higher) and my Random Read/Writes were 6.82MB/s and 0.66MB/s. Results will vary so not all Nexus 7s will have a remarkable speed jump. Be wary of benchmarking apps too, because they don't always reflect real world performance. As long as the Nexus 7 feels faster when in use, thats what matters. My Nexus 7, JB 4.2.2 stock rooted, became markedly faster. I used first three methods. Thanks a lot dude, I already installed your four methods and my nexus works like a new car, simple and smooth. Glad it worked out so well for you! Should I try these methods with 4.3 also? If I want to make my N7 even more snappier? I would only recommend doing method 1 and 2 on 4.3. The remaining methods are not compatible with 4.3. There are custom roms with Android 4.3 and custom kernels right now, but they're very early builds so stability may be problematic. It's great that you can make all put all sorts of customization efforts into Android, but you gotta admit, if a layman read this article and was trying to decide between an Android Tablet and an iPad, it would make the choice much easier. 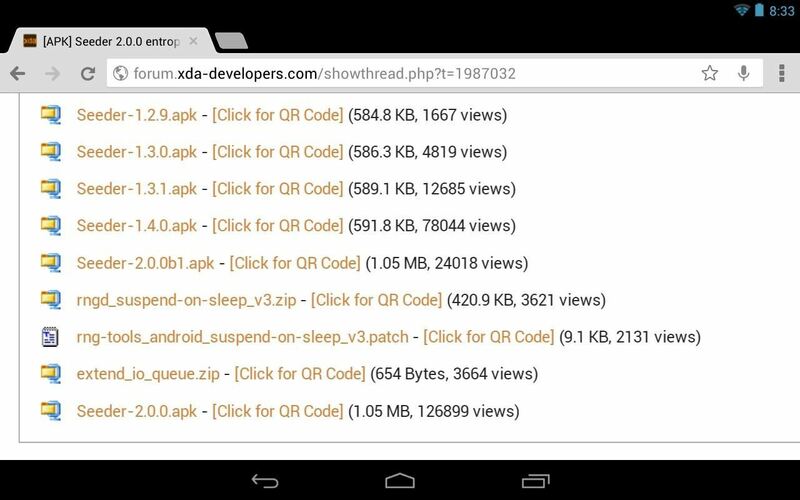 I think all of these methods are on andoid tuner app except for franco.kernel update.. correct me if im wrong. can i use third method on my lg optimus l4 II running android jelly bean 4.1.2? i'm concerned for my new phone but i desperatly want to speed it up :D ..
can i use these methods for my N7 2013 running 4.4.2? Thanks! I have an N7 flo. running CM 11.0 with TWRP recovery. and some xposed mods. will these mods work with CM11? Witch ones dont so i dont kill my device. holy hell! the second one where you flash custom binaries has made my device 100% lag free!!!!!! !